Is a bookshelf console that consists of three identical open-shelves parts linked by a designed top. 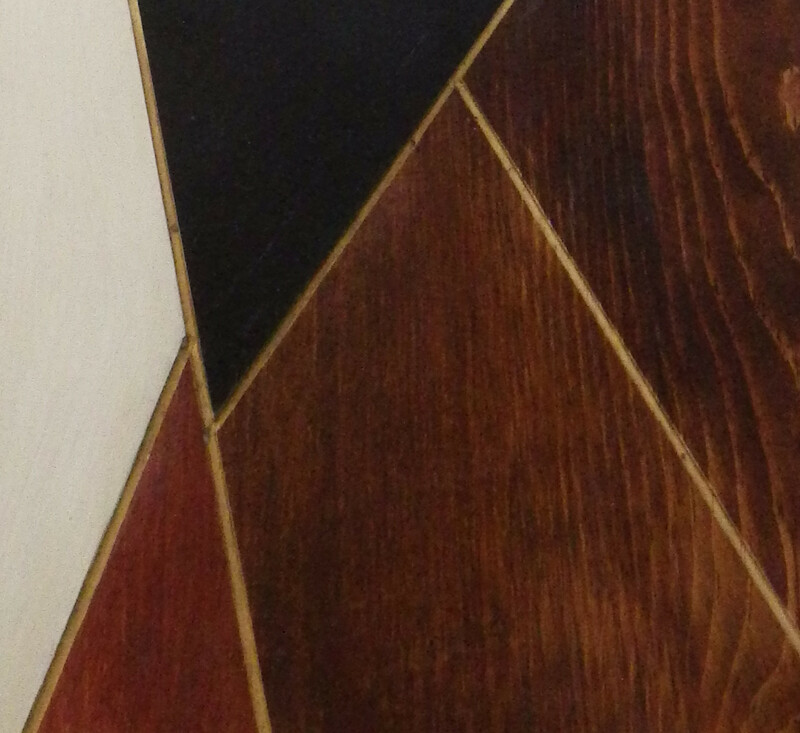 The top, with its geometric composition of triangles, colors, and finishing brings movement to the piece. H 32" W 14" L 98"